The New 40% Laurel Aleppo Soap & Why You Need It! Edible Plastics... Yes, Edible Plastics! A trimmendous review by Seven Magazine, Sunday Mail, Cyprus! 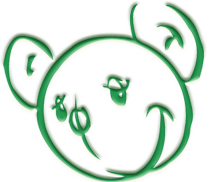 Green Bear Netherlands purchases Trimmendous Ltd.
GBPro Eco (concentrated) Washing up liquid (with EU Ecolabel) - 10 Litre *New! GBPro Eco (concentrated) Washing up liquid (with EU Ecolabel) - 500ml *New!